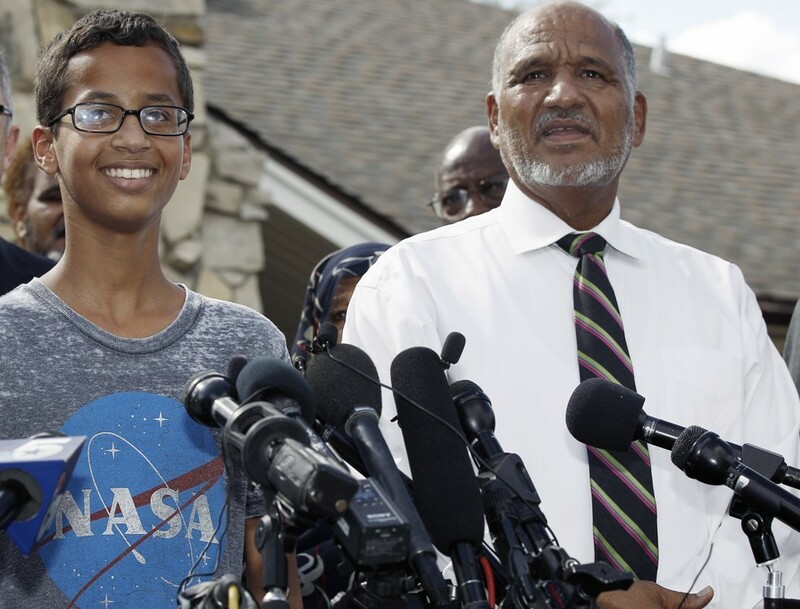 Ahmed Mohammed, perhaps better know as the “Bomb-Clock Boy,” announced recently that he and his family were moving to Qatar, where Mohammed would study under a scholarship from the Qatar Foundation. According to The Federalist, Qatari citizens fund Islamic terrorists in Syria at a higher level than any others, but that’s not all. The Qatar Foundation was founded by Qatar’s former emir Hamad bin Khalifa Al-Thani and his wife, Sheikha Mozah. But in addition to funding educational opportunities, the foundation has also supported mosques. And some of those mosques “frequently host preachers who echo the foundational philosophy behind” the Islamic State group, The Federalist said, citing a report from The Daily Beast that mentioned the “parade of infamous preachers” who regularly attacked Shia Islam from the pulpit. The foundation, therefore, supports the Islamic State group — at least rhetorically — and Ahmed Mohammed. Hmm. Qatar has, to its credit, supplied jets for use in the limited air campaign against the Islamic State group, but it has also repeatedly looked the other way when its citizens have funded radical Islamic militants.